Click Here to Book a Drive! WE ARE NOW CONDUCTING WASHINGTON STATE DRIVER'S LICENSE TESTING. IN ORDER TO TAKE THE WRITTEN KNOWLEDGE TEST, YOU MUST HAVE A FORM OF PICTURE ID. ACCEPTABLE ID: A WASHINGTON STATE PERMIT, ID CARD, OR DRIVER’S LICENSE THAT IS VALID OR EXPIRED WITHIN ONE YEAR, VALID MILITARY ID, OR A CURRENT AND VALID U. S. PASSPORT. WE WILL ALSO ACCEPT AN OUT‑OF‑STATE DRIVER’S LICENSE, PERMIT, OR ID CARD, VALID OR EXPIRED WITHIN 60 DAYS, THAT INCLUDES YOUR PHOTO AND DATE OF BIRTH. APPLICANTS UNDER 18 YEARS OF AGE WHO DO NOT HAVE ONE OF THE ABOVE-LISTED DOCUMENTS MUST HAVE A CERTIFIED BIRTH CERTIFICATE AND A STUDENT BODY CARD ISSUED BY A SCHOOL DISTRICT. IF YOU DON’T HAVE A SCHOOL-ISSUED STUDENT BODY CARD, YOU CAN BRING IN AN ANNUAL WITH YOUR PHOTO IN IT. IF YOU HAVE ANY QUESTIONS ABOUT WHAT IS REQUIRED, PLEASE GIVE US A CALL. You must arrive between 4:45 – 5 pm. Testing starts at 5 p.m. and ends at 6 p.m.
You must arrive between 12:30 – 12:45 pm. Testing starts at 12:45 pm. and ends at 1:45 pm. THERE WILL BE NO WRITTEN TESTS ON 1/3, 5/25, 5/30, 7/4, 8/31, 11/28, 11/30, 12/21, 12/26, 12/28, and 1/2/2020. Certified WA State DOL testing location! Schedule your DOL drive and knowledge test here! SCHEDULE DOL WRITTEN & DRIVE TESTS HERE! We are located on Hwy 410 at 192nd Street, next to Timber Ridge Vet Hospital, kitty corner from Applebees. We are now conducting Washington State Driver’s License testing! No more waiting in lines at the DOL office! 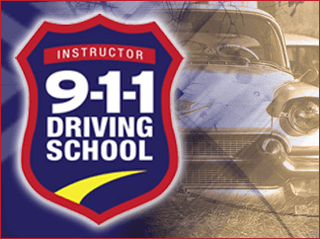 The DOL written and the first drive test are included in the course price when you enroll in any of our classes! Students must pre-apply online with DOL License Express to obtain their access code. This code will be required in order for us to issue the permit waiver as well as enter all class data in the DOL system. Use this link. Click here to apply You do not need to pre-apply if you’ve ever had a WA driver license, instruction permit, or ID card. No courses were found at this location. We are a state authorized testing facility offering the Washington State Knowledge Test for Driver Licensing. Now Offering the WA State Road Test! Please contact our store for eligibility and scheduling! Conventional Course- Recommended for the average new driver. Basic Course- For those seeking to gain the basics of safe driving. Advanced Course- Recommended for the driver needing a little more practice. Also called a “Basic Driver Improvement” course, the LEVEL ONE class is designed to improve the driver’s knowledge and understanding of traffic laws as well as safe driving techniques and strategies to equip today’s experienced driver with up-to-date information on improving driver and occupant safety. The course also qualifies for some auto insurance discounts and employer’s fleet training programs.